Ndidi Nwuneli is the Founder of LEAP Africa, a leading youth leadership nonprofit organization, and co-Founder of AACE Food Processing & Distribution, an indigenous agroprocessing company that was founded to fight malnutrition, reduce post-harvest losses among smallholder farmers and displace imports. 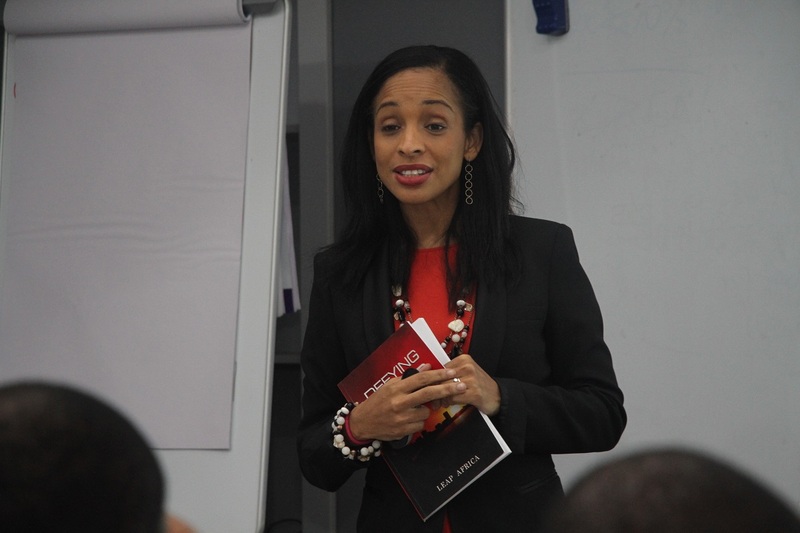 She is also the managing partner of Sahel Capital Partners & Advisory, a firm focused on the agribusiness and nutrition sectors in West Africa. She started her career as a management consultant with McKinsey & Company. Ndidi holds an M.B.A. from Harvard Business School and an undergraduate degree with honors in Multinational and Strategic Management from the Wharton School of the University of Pennsylvania. Ndidi was recognized as a Young Global Leader by the World Economic Forum and received a National Honor – Member of the Federal Republic from the Nigerian Government. She was listed as one of the 20 Youngest Power African Women by Forbes and a 2018 Aspen New Voices Fellow. Ndidi is the author of “Social Innovation in Africa: A Practical Guide for Scaling Impact,” published by Routledge in 2016. The good news for the Ausso Leadership Academy (ALA) and the entrepreneurs registered for mentorship is that Ndidi is one of the Champions of Entrepreneurship who will be sharing her story to inspire the class.